The City Renewal Authority is calling on creative individuals, groups and organisations to tell us how they can help enrich the public spaces of Civic, Braddon and Acton with extraordinary experiences that keep our community coming back for more. The latest round of City Grants is now open for applications and will close 3pm, Tuesday 30 April. To assist prospective applicants the authority will be holding a workshop in April to provide them with the opportunity to hear directly from the authority about the program. Further details of the workshop will be made available on our website. The authority has held three previous rounds of grants which have supported an exciting mix of projects delivered throughout Civic, Braddon and New Acton from art activities, events, and installations, through to research projects. This current round introduces some important changes to the application process to make it clearer and more flexible. Two streams of grants will again be offered. Tier 1 grant applicants will be able to apply for up to $10,000 to fund activity to be delivered 1 July to 31 December 2019. Another round of Tier 1 grants will be offered later in the year. Tier 2 grants will be able to apply for funding between $10,001 and $50,000 for projects to be delivered anytime throughout the 2019/20 financial year as opposed to the six month timeframe. City Grants are funded by the City Centre Marketing and Improvements Levy. A 22-tonne military truck, repurposed to deliver a barrage of art and music across Civic and Braddon, headlines the City Grants winners for the first half of next year. The Soul Defender is a cargo truck converted into an urban artwork and mobile stage that will be the vehicle for an imaginative program of events and installations between February and June. Other funded projects include a one-day Latin festival, free outdoor yoga in Civic, Shakespeare performances in Glebe Park, an urban treasure hunt event and outdoor entertainment as part of the Canberra Comedy Festival. A two-week artists’ residence in a vacant shopfront and a research project to understand how to improve offerings and experiences for people who want to drink less or no alcohol also received grants. City Renewal Authority chief executive officer Malcolm Snow said the City Grants program was delivering on its goal to make the city a more enjoyable and exciting place to spend time. “The City Grants recipients for the first half of 2019 will deliver a series of events that will bring music, art and fun to Civic and Braddon,” Mr Snow said. There were eight grant recipients in this round of City Grants, receiving a total of about $156,000 in funding. Joga Yoga for free outdoor yoga classes twice a week for 12 weeks. Shakespeare by the Lake for two performances in Glebe Park. Fully Rad Adventures for the Canberra City Hustle Urban Treasure Hunt. People Lab for a two-week artist residency in a vacant Civic shopfront. The Canberra Comedy Festival for a program of outdoor entertainment during the festival. Baha Agency for the HEAT Latin Fiesta Festival. The Dionysus Movement Pty Ltd for Soul Defender events and installations. City Grants applications will open early next year for activities taking place in the second half of 2019. Changes to the City Grants program have made it even easier to help make the city centre a more enjoyable place. Applications for City Grants of up to $80,000 are now available for innovative, creative and artistic projects, events and activities that will make the city more fun, attractive and sustainable. Another $200,000 is available in this round and the limit for Tier 1 grants has risen to $10,000 (up from $5,000). City Renewal Authority chief executive Malcolm Snow said the increased Tier 1 grants were a great opportunity for people to turn their great ideas for the city centre into reality. 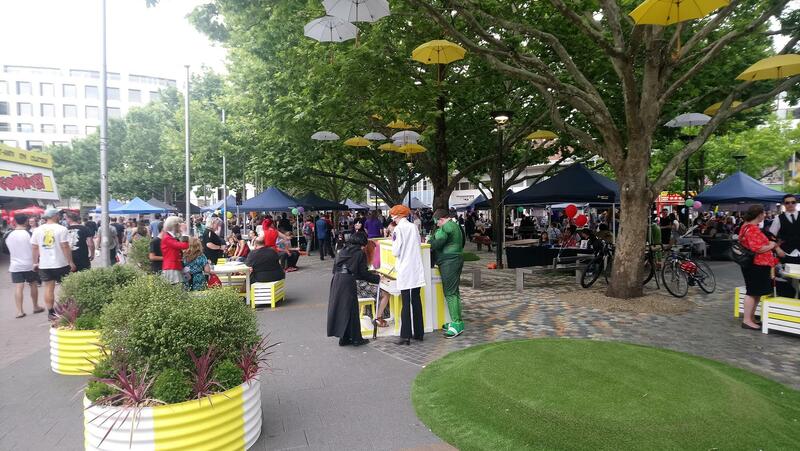 “Our previous grants rounds have resulted in some excellent projects that have helped bring fun and colour into the city centre and Braddon,” Mr Snow said. “Tier 1 grants are designed to be easier to access, so increasing that limit to $10,000 really increases the sorts of things people can apply for. Tier 2 grants of up to $80,000 are also available but given the level of funding require a much more detailed proposal. “We look forward to seeing creative, artistic ideas for how we can make our public spaces in the city centre and Braddon more exciting and enjoyable places. Grant applications close at 3pm on 23 October. Successful grants projects will need to take place between 1 January 2019 and 30 June 2019. Previous grant winners have included public events and activities like the Hurly Burley Winter Fair and Poets for Breakfast, art installations like Treeology, the Loaded Laneway music festival, and temporary place making installations like the Lonsdale Street pop-up Parklet and the Create-a-place X 3 seating areas in Bunda, Genge and Lonsdale streets. Other successful activities from the second round of 2018 grants will be taking place between now and Christmas, including the ANCA Art Bus from early October, the Impact Comics Festival in Garema Place on 13 October, and the Design Canberra Festival will hold activities in the city centre from 19-25 November. Free Zumba classes in Garema Place are continuing every Tuesday and Thursday until 29 November. Find out more about City Grants here. If you have a great idea to make the city centre more enjoyable, now is your chance to make it happen. Applications for a City Grant of up to $80,000 will open in mid-September for projects taking place during the first half of 2019. The City Renewal Authority’s City Grants program is funded through the City Centre Marketing and Improvement Levy. They are for eligible organisations, groups and individuals to support projects that enliven Canberra’s city centre. The program aims to facilitate high-quality activations that encourage creativity, innovation and diversity. A wide range of projects are supported by City Grants, including but not limited to events, arts activities, marketing and promotion, and research and development. Applicants can apply for grants of anywhere between $1000 and $80,000, with a streamlined process for grants of up to $5000. There is a total of $200,000 available during this next round. Activities funded by the previous round of City Grants have already started taking place within the city centre. Free lunchtime Zumba classes in Garema Place are currently enlivening the space underway and a week-long music and dance residency and workshop for artists has already been held. A laneway wine festival, mobile art bus and the Impact Comics Festival are just some of the upcoming activities scheduled to happen before the end of the year. Over the course of 2018, the City Grants program administered $373,164 in project funding to help make the city centre more lively and attractive. Check back in on this website during mid-September to apply for a City Grant or follow us on our social media channels @CityRenewalCBR to be the first to know as soon as the next round opens. Are you a levy payer and keen to contribute to enlivening our city centre? Why not consider becoming a panel member to help assess Tier 2 Grant submissions as part of our City Grants program. The City Renewal Authority’s City Grants is a funding program for eligible organisations, groups and individuals to support innovative projects in Canberra’s city centre that lift its appeal and economic vitality. Your role will be to assess grant applications that are over $5,000 in value as a representative of the levy paying community for the 2018/19 financial year. Our City Grant’s program is open for two rounds each year. You would be required to attend two meetings per year (in October and May). 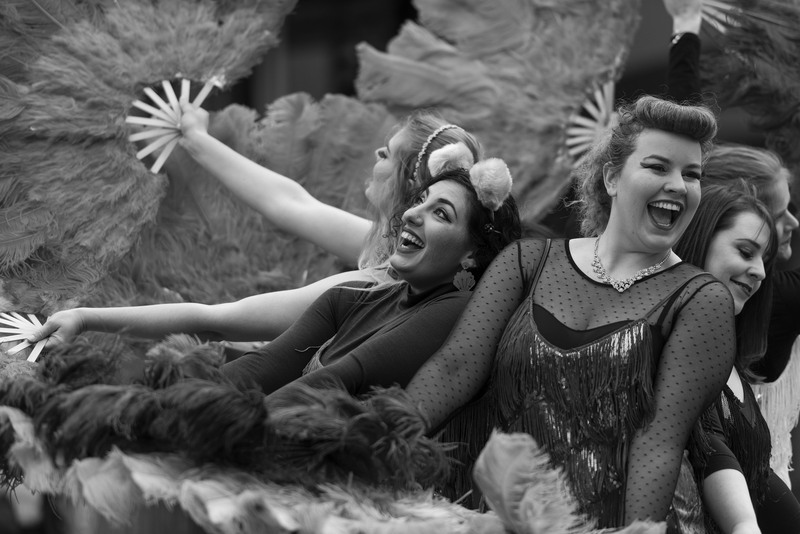 The City Grants assessment panel is comprised of representatives from Events ACT, ArtsACT, Access Canberra, the City Renewal Authority, and representatives from the creative community and levy payers. This is a great opportunity to help identify high quality activations that diversify, support and drive economic activity for existing businesses within the city centre. If you are interested in being involved please email the City Renewal Authority, briefly telling us why you are the right person to be a panellist. Panel members will be appointed based on the relevant skills and experience of the individual. You can read the City Grants program guidelines here. 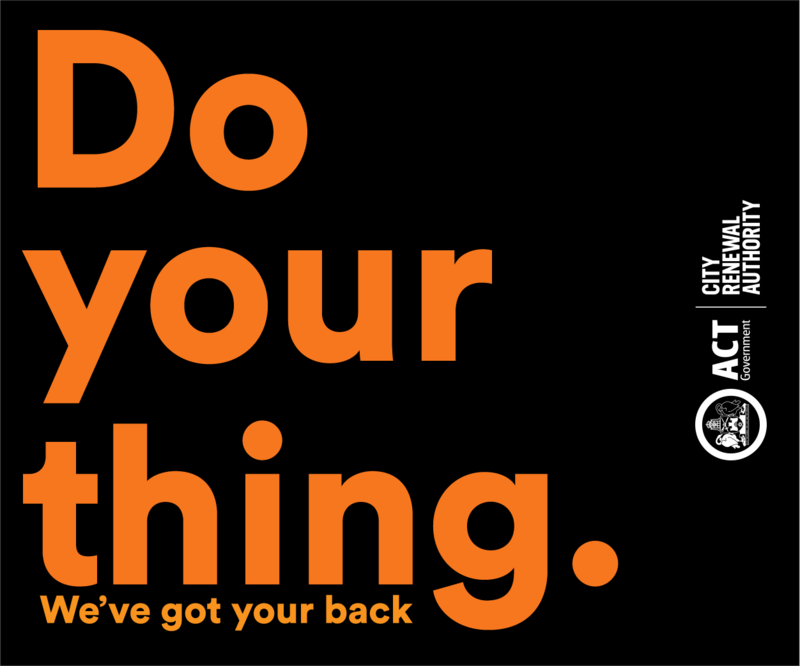 To find out more about the panel email cityactivation@act.gov.au or phone 02 6205 2209. A lane-way wine festival, regular lunch-time Zumba classes, and a repurposed iconic ACTION bus used as a mobile art gallery are some of the projects funded through the latest round of City Grants. The second round of City Grants for 2018 has allocated $200,000 in funding for 11 projects taking place in the next six months. Eight projects received Tier 1 funding of $5,000 or less while three major projects received Tier 2 funding ranging from $20,000 to $80,000. City Renewal Authority chief executive Malcolm Snow said this round of grants funded through the City Centre Marketing and Improvement Levy would complement the authority’s broader activation program to increase activity and creativity within the city centre. “We have selected a diverse range of events and activities that will make the city centre a bit more fun, colourful and entertaining,” Mr Snow said. Tier 2 funding was awarded for a Canberra District Wines laneway event ($20,639), an expanded presence in the city centre by the Design Canberra Festival ($59,368) and three separate three-week art exhibitions that use an iconic ACTION bus as a mobile gallery space ($80,000). 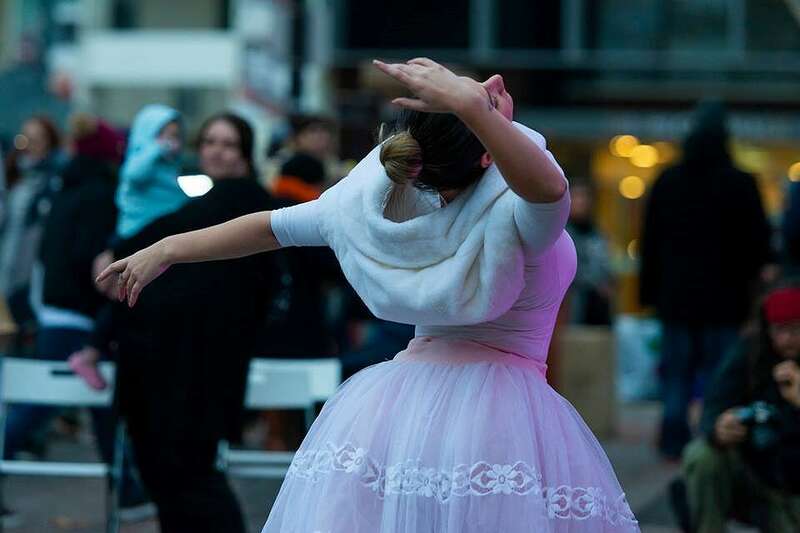 Projects receiving funding for $5,000 or less include an Impact Comics festival, a dance and music residency in Garema Place and City Walk, free one-hour Zumba classes twice a week for three months and a series of art works for a Melbourne Building walkway. “The city centre is the natural home for festivals and exhibitions and these fantastic City Grant winning proposals will help add to the excitement and vibrancy of our city heart,” Mr Snow said. For a full list of 2018 Round 2 recipients click here. Another round of City Grants will open in September for activities taking place in 2019. The second round of City Grants for 2018 resulted in 32 eligible applications being viewed to activate and improve our city centre. With up to $200,000 available in funding, the city centre is set to be full of events, activities and installations during the second half of this year. The first round of City Grants for 2018, awarded $173,164 to 12 recipients for music and winter festivals, pop-up parks and research projects hosted in the city centre. The City Grants program makes the city more enjoyable and accessible. It is a funding program for eligible organisations, groups and individuals to support place-making projects in Canberra’s city centre. The pool of available funding for round two grants has been increased from the previously announced $150,000 to $200,000 to allow for more events, activations and improvements within the city centre. The successful applicants will be announced shortly. A separate process will start in September for grant applications for activities in 2019. The grants are funded through the City Centre Marketing and Improvement Levy, a fee paid by commercial property owners in the city centre. Another $150,000 in City Grants is available for projects that will help make the city centre more attractive and active in the second half of 2018. The City Renewal Authority is looking for people and organisations who have a great idea to make the city centre experience better. Applications opened last week for grants up to $80,000 - with a streamlined process for grants of up to $5000 - and close on 28 May 2018. City Renewal Authority chief executive Malcolm Snow said activities would need to take place within the city centre between 1 July 2018 and 31 December 2018. “We’re asking people to be innovative and creative with their proposals but it is important that they show how their proposal will positively impact the city centre,” Mr Snow said. Activities funded by the previous round of City Grants have started taking place within the city centre. The Loaded Laneway Festival last month activated an underutilised laneway and this week the Personalitree installations are helping mark National Tree Week. Later this month the ACT Young Planners will install a pop-up park in Braddon and local group Good Content will host a music and arts showcase in a vacant space in the city. “The authority received an amazing variety of applicants in our last round of City Grants and we are looking forward to seeing what exciting and interesting proposals come forward during this round,” Mr Snow said. “The City Renewal Authority is seeking activation projects that have demonstrated benefits for the city centre. City Grants are available for a variety of purposes, including events and activations, arts activities, short-term installations, marketing and promotion, and research and development. The timing and location of activations will be considered as part of the assessment process to ensure that they support a year-round program of events and activations across the city centre. A separate process will start in September for grant applications for activities in 2019. The grants are funded through the City Centre Marketing and Improvement Levy, a fee paid by property owners in the city centre, the management of which was transferred to the City Renewal Authority from 1 January 2018. Poetry breakfasts, a laneway music festival and a knitting event are just some of the recipients of the first round of City Grants for 2018. The City Renewal Authority has awarded $173,164 in grants to 12 recipients for a variety of projects, from music festivals and knitting events to public art and temporary installations. Over the next three months City Grants will help activate and improve the city centre with six events, three installations, a research project, an accessibility education campaign and a new public art mural. City Renewal Authority chief executive officer Malcolm Snow said the mix of smaller and larger projects would help make the city more enjoyable and accessible. “The successful round one City Grants applicants have put forward a range of projects that will each add to the experience for people in the city centre,” Mr Snow said. “We will be funding a range of activities, from targeted urban interventions to larger community events. Four larger projects were successful in receiving grants ranging from $19,000 to $75,000. “The winners of the larger grants proposed events and projects that will bring significant activity and benefit to the city centre,” Mr Snow said. Eight other applicants were successful in receiving smaller grants of $5000 or less. These projects include a new colourful mural within city centre, a pop-up parklet in a car space on Lonsdale Street, an education campaign to help businesses become more accessible and a World Wide Knit In Public Day event in June. City Grants are funded through the City Centre Marketing and Improvements Levy - paid by commercial land owners in the city centre - and are managed by the City Renewal Authority. Visit this page for a list of grants winners. Another grants round will open soon for projects taking place next financial year. There is only one week left to apply for up to $80,000 to make the city centre or Braddon more appealing, active and enjoyable. The City Renewal Authority will provide up to $175,000 in City Grants for projects that will take place before 1 July 2018. Applications for grants, which opened on 7 February, will close on Wednesday 14 March. The grants are funded through the City Centre Marketing and Improvement Levy, a fee paid by property owners in the city centre, which transferred to the City Renewal Authority from 1 January 2018. City Renewal Authority chief executive Malcolm Snow encouraged applicants to put forward proposals that would positively benefit the city centre. “There is only a week left to apply for grants and we really want to see projects that contribute to a lively city centre and encourage creativity, innovation and diversity in the public realm,” Mr Snow said. A separate process will start in the coming months for grant applications for activities in the 2018-19 financial year. For further information and eligibility requirements. Click herefor further information and eligibility requirements. There is still time to apply for grants of up to $80,000 as part of the City Renewal Authority’s City Grants program, which opened on 7 February. With up to $175,000 in grants to distribute during the first half of 2018, we are calling on anyone with a great idea to help make our City Centre more enjoyable to apply. The grants program focuses on supporting individuals, community groups, organisations and businesses to turn their ideas into reality. City Grants provide funding for a wide variety of projects within city that help make it a more exciting, attractive and inclusive place to visit. Examples of the different types of projects that could be pursued with the help of a City Grant include events, arts activities, installations, marketing, place-making ideas, research and development. Applicants can apply for grants of anywhere between $1000 and $80,000, with a streamlined process for grants of up to $5000. The ultimate aim is to develop and support a year-long curated program of activity across the city centre. In assessing applications, the City Renewal Authority is seeking projects that have demonstrated social, cultural, economic and environmental benefits for the city centre. The grants are funded through the City Centre Marketing and Improvements Levy, a fee paid by property owners in the city centre, which transferred to the City Renewal Authority from 1 January 2018. Applications for projects planned for May/June 2018 will close on 14 March 2018, while applications for activities taking place up until 30 April 2018 close today. The City Renewal Authority will provide up to $175,000 in grants during the first half of 2018 to help make the city centre more attractive, active and enjoyable. Applications open today (7 February 2018) for grants between $1000 and $80,000 - with a streamlined process for grants of up to $5000 - and close on 14 March 2018. To ensure projects are funded for the coming months, grant applications for activities taking place up until 30 April will close on 28 February. City Renewal Authority chief executive Malcolm Snow said successful applicants would need to show how their proposal would positively impact the city centre. “We are seeking projects that contribute to a lively city centre and encourage creativity, innovation and diversity in the public realm,” Mr Snow said. “The ultimate aim is to develop and support a year-long curated program of activity across the city centre. The City Renewal Authority is looking for activation projects that have demonstrated social, cultural, economic and environmental benefits for the city centre,” Mr Snow said.